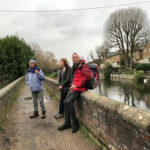 Nine walkers met at Uxbridge station in the sunshine, sadly minus our main leader who had succumbed to the ‘flu, get well soon Sunita. 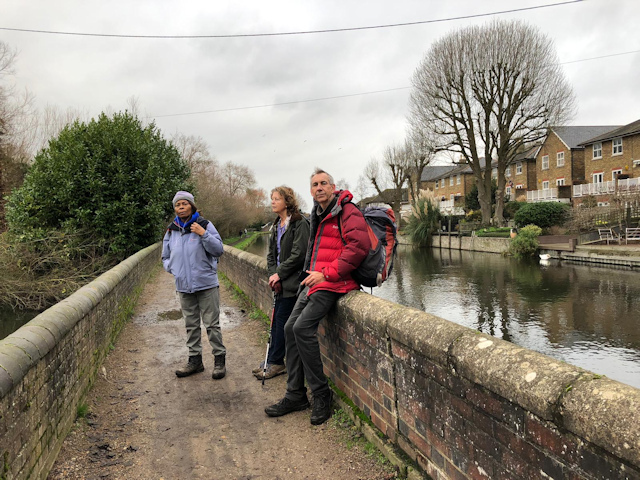 We learnt that Valeria was still en route, and Gillian kindly decided to wait for her eventually catching us up just before the lunch stop. 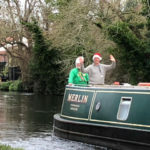 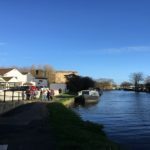 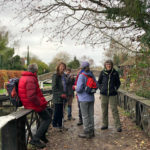 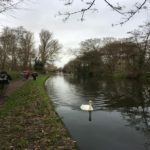 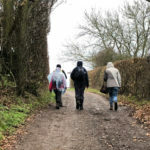 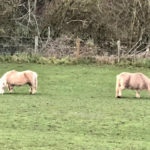 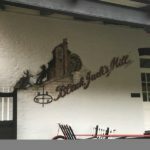 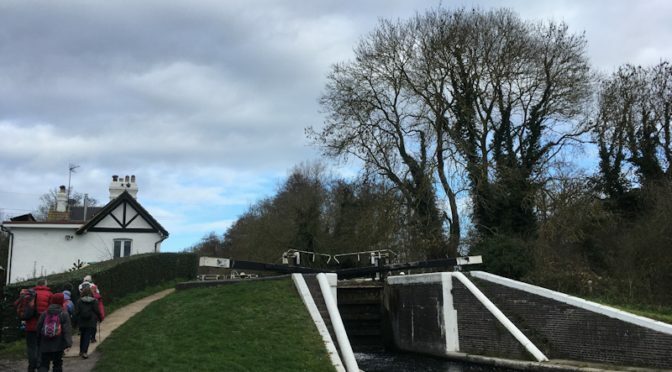 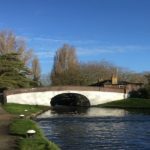 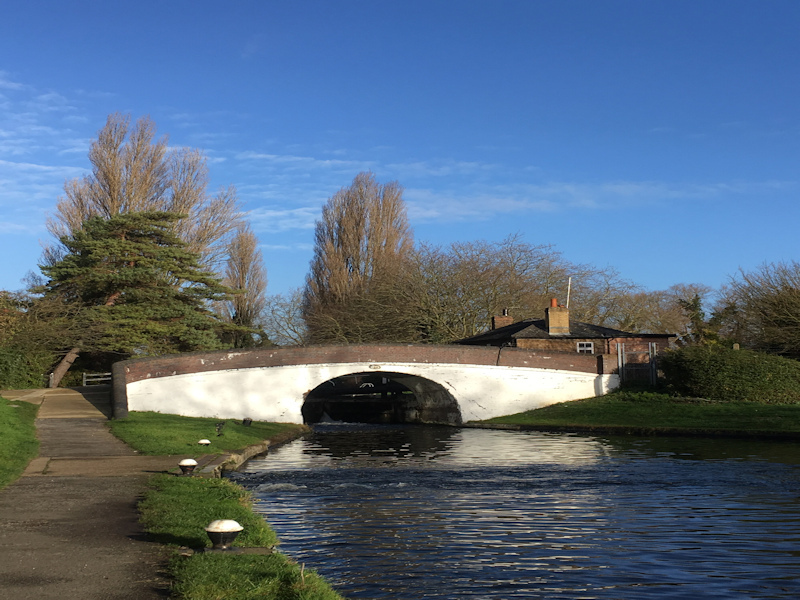 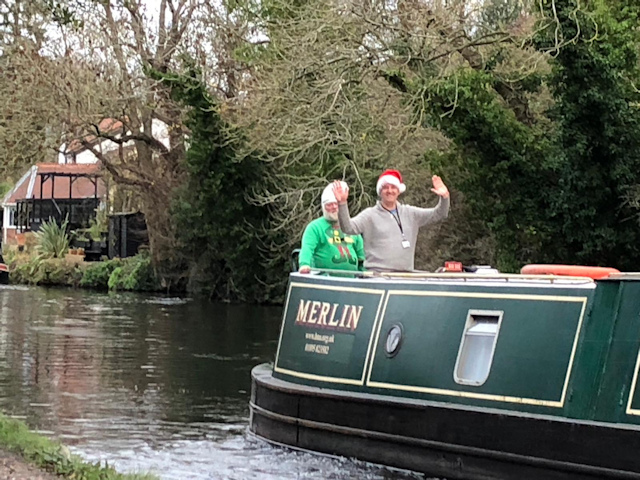 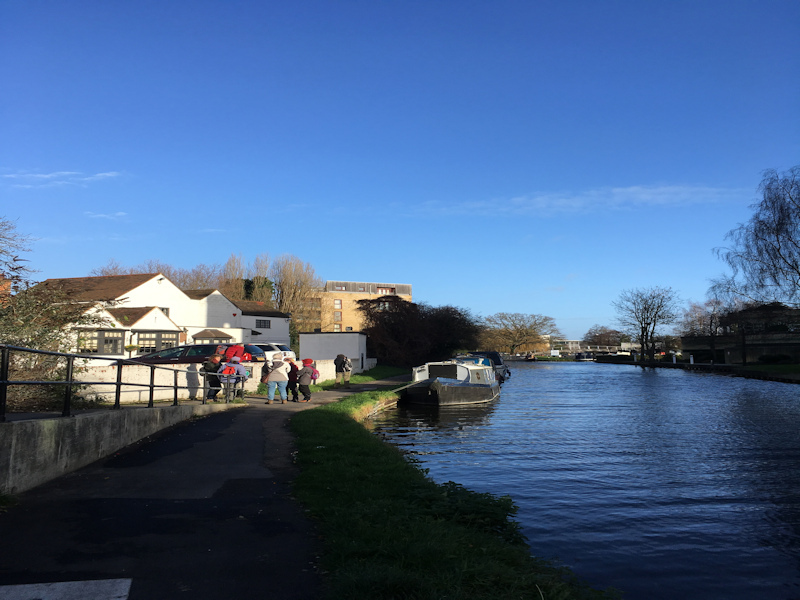 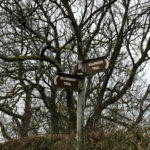 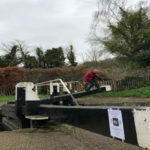 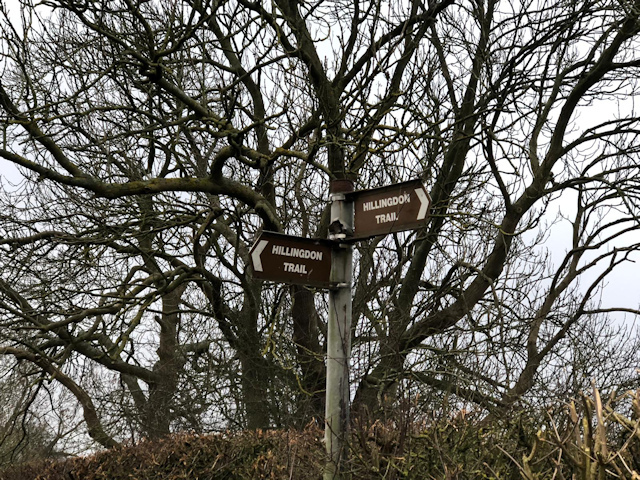 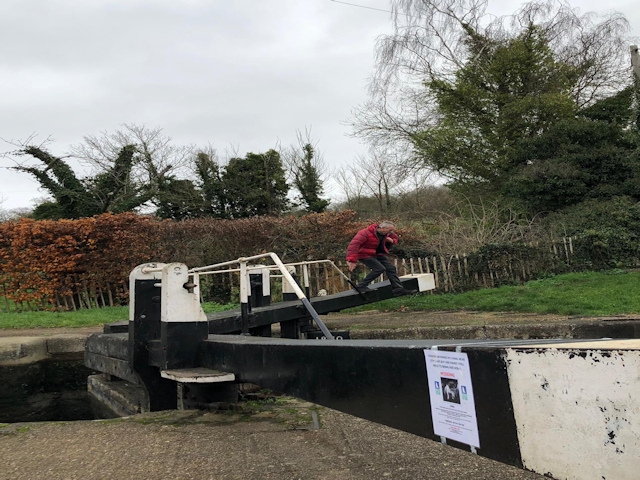 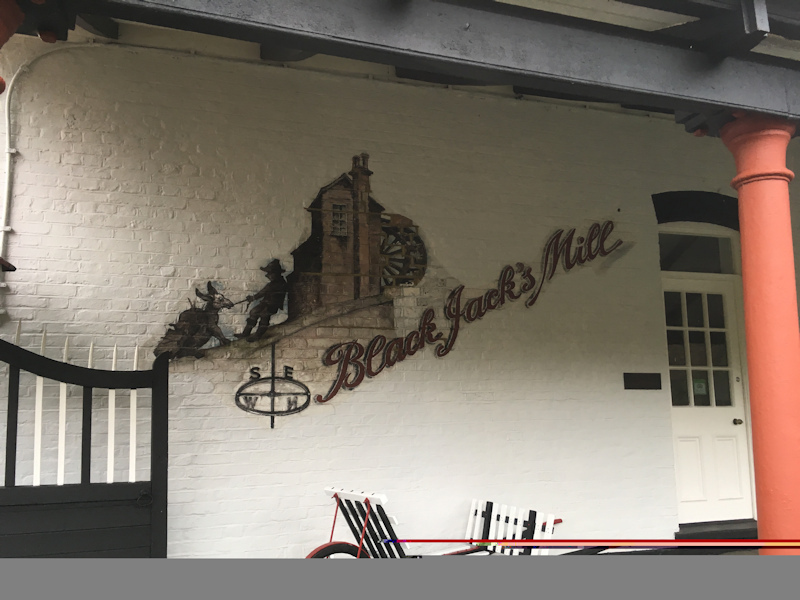 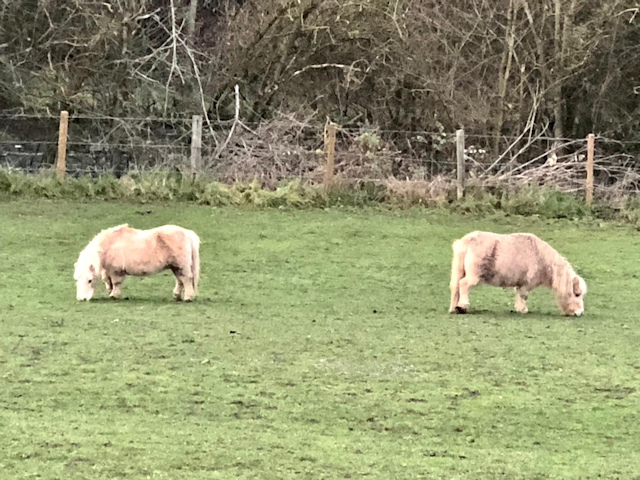 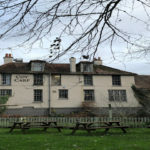 We walked through the crowds of Christmas shoppers and found our way to the Grand Union Canal tow path which we followed for around four miles. 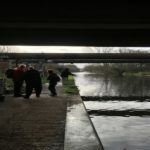 Various barges and locks were seen en route together with many mallards and coots. 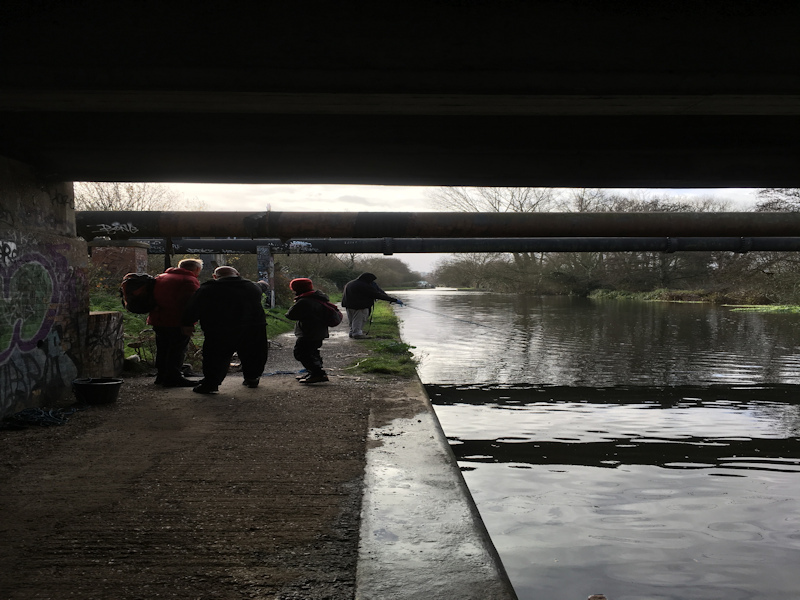 We paused for a while to chat to two men magnet fishing to dredge rusted iron work from the canal and to look at their photos of previous finds including a safe and an unexploded bomb. 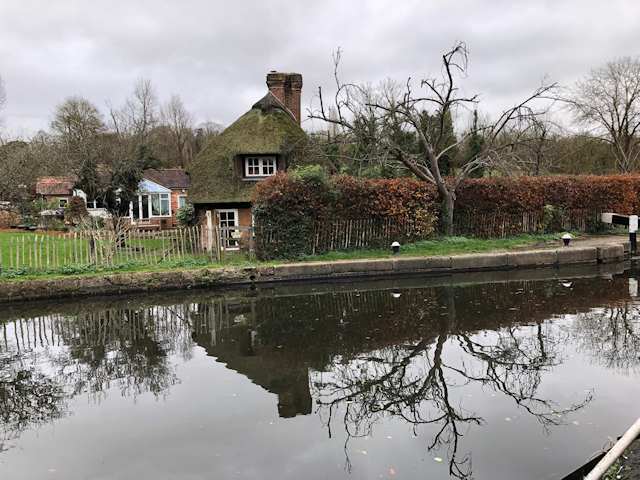 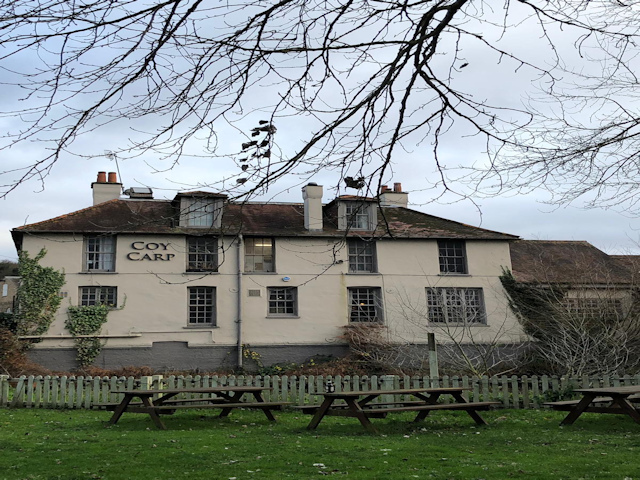 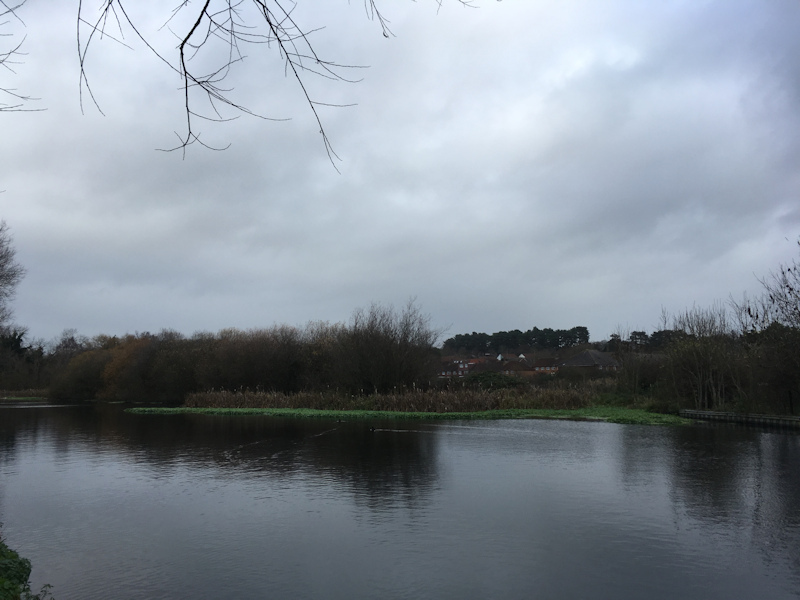 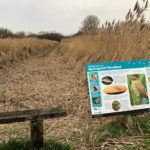 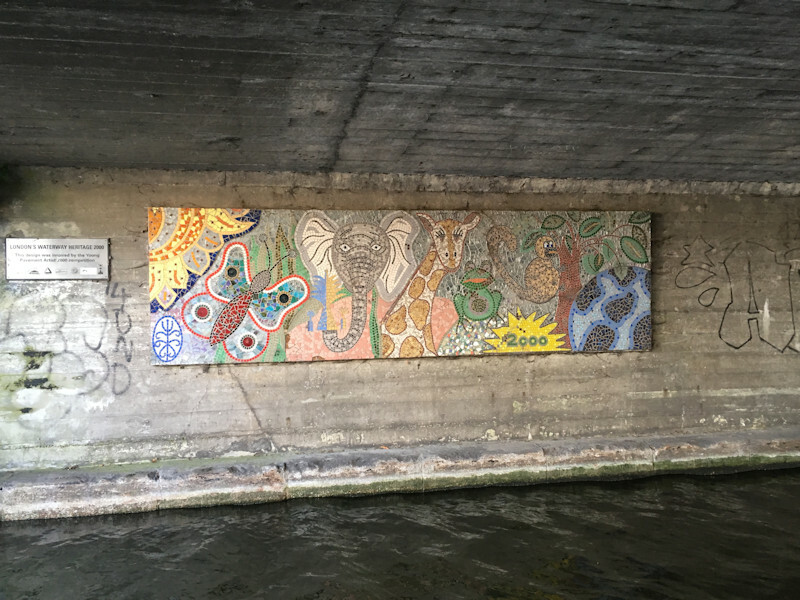 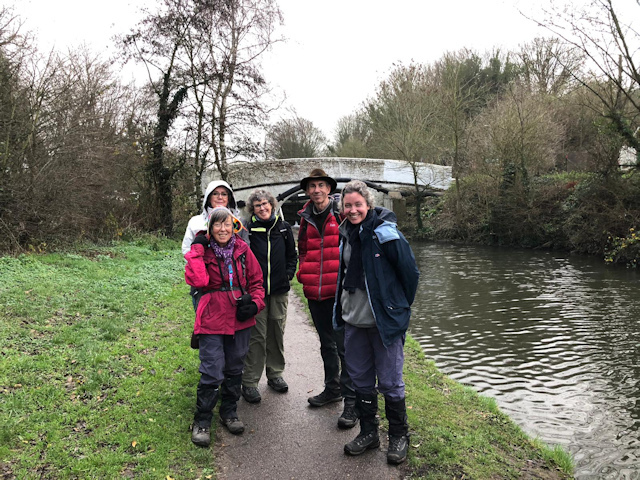 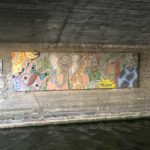 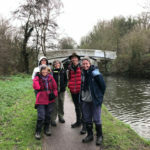 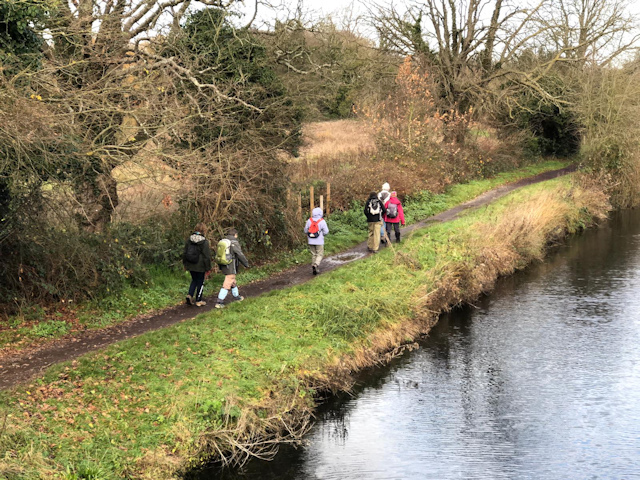 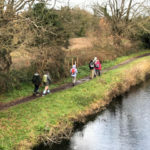 After an enjoyable lunch at the Coy Carp Inn, four walkers took the bus back to Uxbridge whilst the rest of us continued a short distance along a particularly scenic stretch of the canal (apart from the large sewage treatment works) to reach the Springwell Lake reedbeds. 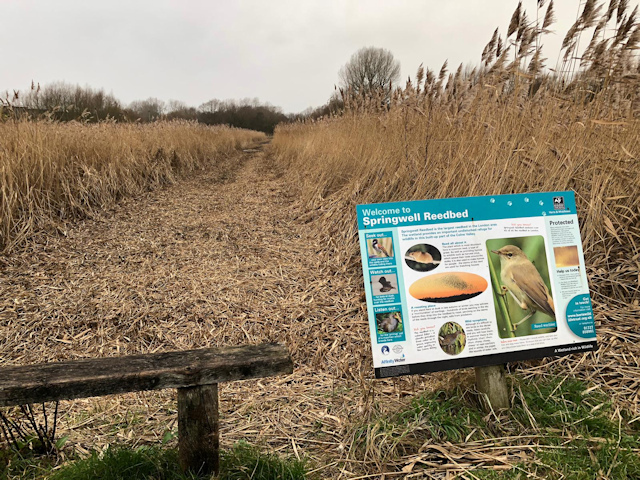 This wetland is an important refuge for wildlife and absorbs pollution from the water improving its quality in the Colne Valley. 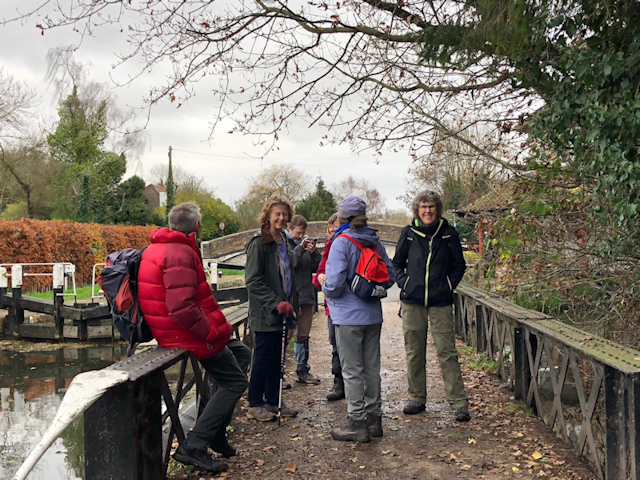 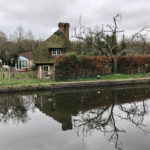 Stuart continued along the canal to Rickmansworth whilst the rest of us crossed a bridge to join the Hillingdon Trail. 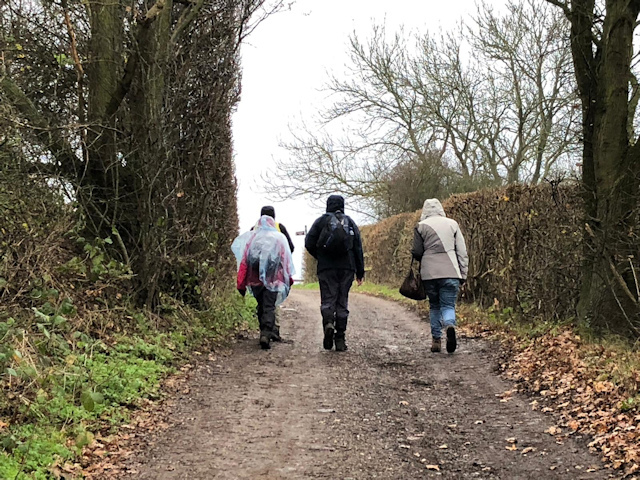 At this point it started to rain and we donned our waterproofs. 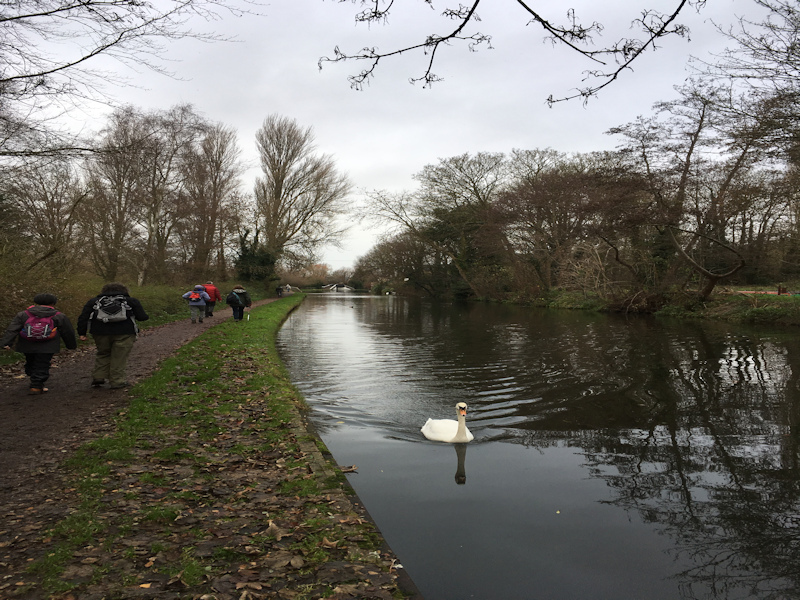 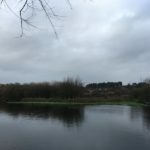 We followed the trail, gaining height and enjoying nice views of the canal and Broadwater Lake before walking back downhill through Park Wood to board our bus back to Uxbridge.